Lisa K. Feulner, MD, PhD, a board-certified ophthalmologist, is a well-respected and highly skilled surgeon. In November 2003, she founded Advanced Eye Care & Aesthetics located in Bel Air, MD. She received her MD and PhD from the University of Rochester School of Medicine and Dentistry, where she attended as part of the prestigious Medical Scientist Training Program. Her graduate school research focused on Molecular Neuroscience at the Gerontology Research Center, National Institute on Aging, National Institutes of Health and at Johns Hopkins University. Dr. Feulner received the Janet M. Glasgow Memorial Achievement Citation from the American Medical Women’s Association and is a member of the Alpha Omega Alpha Medical Honor Society. She completed her residency in Ophthalmology at the University of Minnesota where she was a chief resident. Recognized for her expertise as a comprehensive ophthalmologist, and cataract/refractive surgeon, she is also well known for her expertise in invasive and non-invasive aesthetic services. Dr. Feulner is a member of several professional organizations, including the American Academy of Ophthalmology, the American Society of Cataract and Refractive Surgery, the Maryland State Medical Society, Maryland Society for Eye Physicians and Surgeons, Women in Ophthalmology, Ophthalmic World Leaders, as well as the Harford County Medical Society. She serves on the American Society of Cataract and Refractive Surgery Council of 100, and is a medical monitor for various clinical trials. She is a speaker and advisory board member for numerous industry partners, and is involved in clinical research for several corporations. 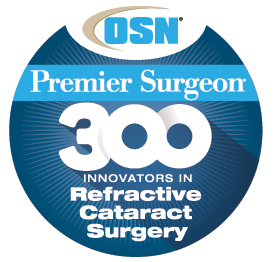 She has received numerous professional awards, and was one of the OSN Premier Surgeon 300 Innovators in Refractive Cataract Surgery in 2016 and 2017. In 2015, she was a SmartCEO Brava Award Winner Honoring Top Female CEOs. Most recently she received the 2018 Athena Leadership Award. Dr. Feulner lives in Churchville, MD, with her husband, Greg and their two children, Leah and Aidan. Actively engaged in the local community, she serves on the board of directors for The Boys and Girls Club Board of Harford and Cecil Counties, supports numerous non-profit organizations, and mentors high school and college students. Under her leadership, Advanced Eye Care & Aesthetics received the 2017 Harford Award and the Philanthropic Company of the Year Award in 2016.